This tangy, smoky, garlic shrimp marinade makes a great shrimp taco seasoning. It’s quick and easy to make and creates a delicious coating for shrimp and seafood. 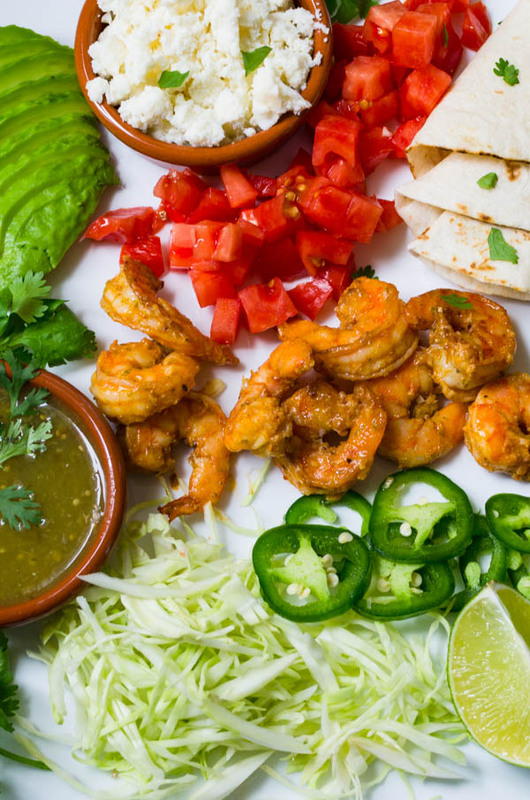 Though you could eat the garlic lime shrimp on its own, it’s even better tucked into a warm tortilla and loaded with your favorite toppings. Here in the tropics, fish abounds. So does crab — both the blue crab variety and those tasty stone crab claws in season now. We have sweet spiny lobsters (ours don’t have the big pincher claws) and oysters from the northern part of the state. And then there’s shrimp. Gorgeous, pink blue crab — plentiful, plump & juicy! 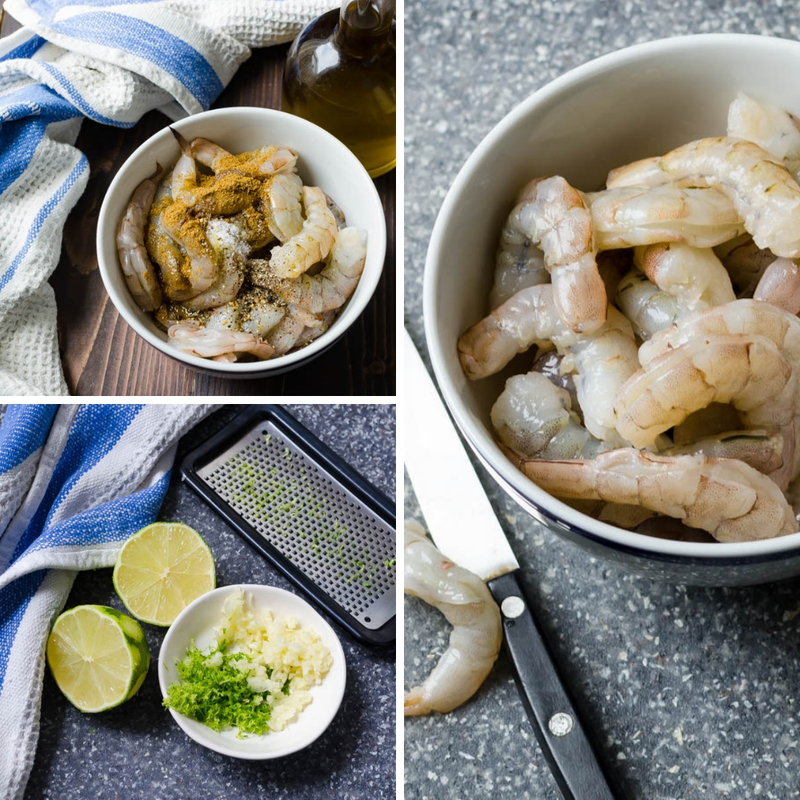 One of the easiest and tastiest ways to enjoy this bounty is with this easy lime, cumin and garlic shrimp marinade, which is less of a marinade and more of a quick, down-and-dirty preparation. Transfer shrimp to a bowl and lightly coat with oil. Add cumin, paprika, cayenne, salt and pepper to the shrimp and toss to coat. Place the shrimp in a single layer in the skillet and cook on one side until they turn pink. Using a pair of tongs, flip the shrimp over and add the lime zest, garlic and lime juice. 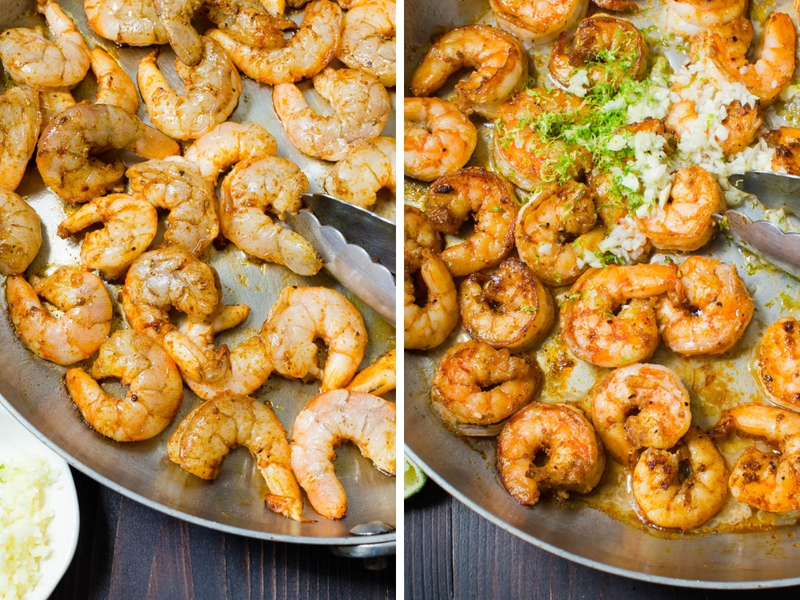 Toss the shrimp in the lime garlic glaze until well coated and the shrimp are cooked through. This is less of a garlic shrimp marinade, because you really don’t need to let the shrimp rest in the shrimp taco seasoning blend before cooking it. 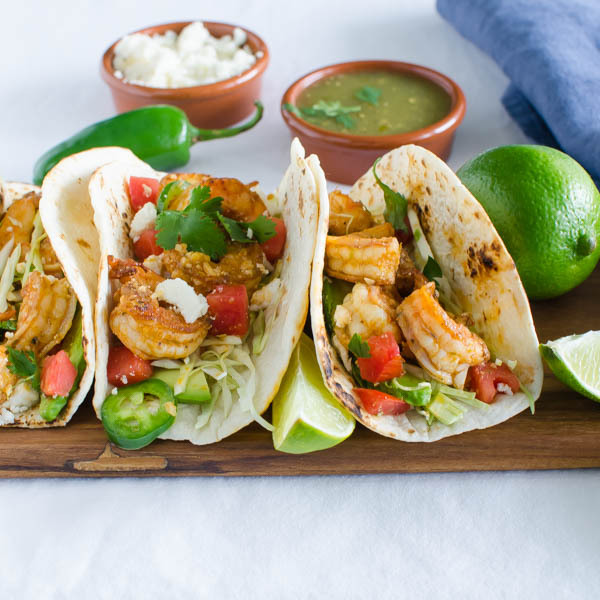 That makes these garlic lime shrimp tacos super fast and easy to make. In fact, it will probably take you longer to assemble the toppings than it will the shrimp. Can I Use Frozen Shrimp For Shrimp Tacos? Yes. Frozen shrimp is fine, however, be sure to thaw the shrimp completely. Pat it dry with paper towels, otherwise they’ll steam instead of sear. 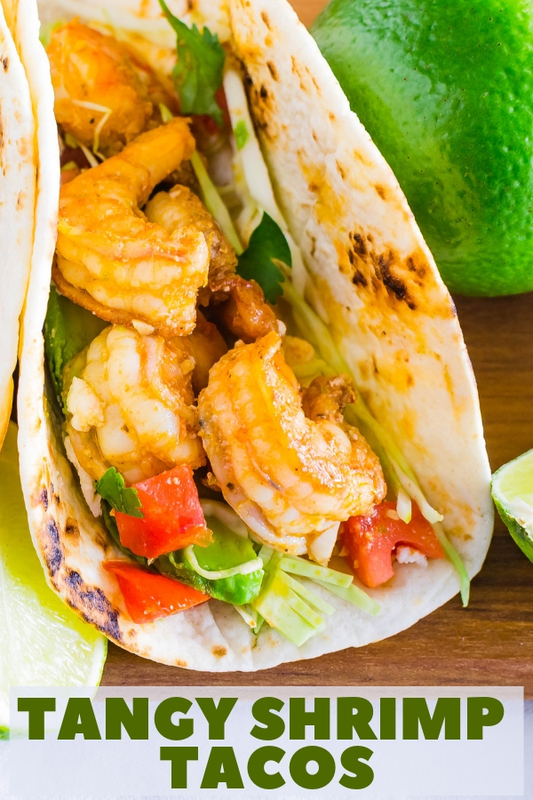 Also, if using frozen shrimp with the tails on — remove the tails — you don’t want a big piece of shell in your taco. The nice thing about this is that you don’t have to go all out and buy the extra large or jumbo variety of prawns. In fact, you shouldn’t. 24-30 count medium shrimp are the perfect size for tacos. If you aren’t a spice fan, you can eliminate the cayenne pepper from the shrimp taco seasoning. However, if you do like spice, you could also augment with red pepper flakes or your favorite hot sauce. 10 Minute Chunky Black Bean and Corn Salsa from Dawn at Girl Heart Food. The best shrimp taco seasoning advice I can give, however, is to lightly char your tortillas. Heated in the oven is ok, but to really make it authentic, they need to be kissed by a flame or hot pan. Gas Grill Method: Heat the gas grill to a medium heat (about 350°) and lay the tortillas in a single layer on the grill. Heat the tortillas, just until they start to puff, then use a pair of tongs to flip them. Note: If your gas grill has hot spots, be aware of them and pay extra attention so you don’t burn the whole tortilla. Gas Burning Stovetop Method: Turn the stove top on to a medium flame. Rest a tortilla directly on the burner (not the heating element itself). Use a pair of tongs to move the tortilla around and char it evenly. When it starts to puff on one side, flip the tortilla and char the other side to your liking. Continue with remaining tortillas. Electric Stovetop Method: This one isn’t quite as effective, but if you don’t have access to a gas burner, you don’t have much of a choice. Place a nonstick skillet over medium high heat and place a tortilla in the skillet. Cook the tortilla until it becomes fragrant and starts to take on some color. (It may or may not puff, so don’t use that as your visual cue). Use your tongs to flip it and continue charring on the other side. Quick and Easy Black Bean Recipe via Julie from Hostess At Heart. Arroz Verde (Green Poblano Rice) from Sean at Diversivore. 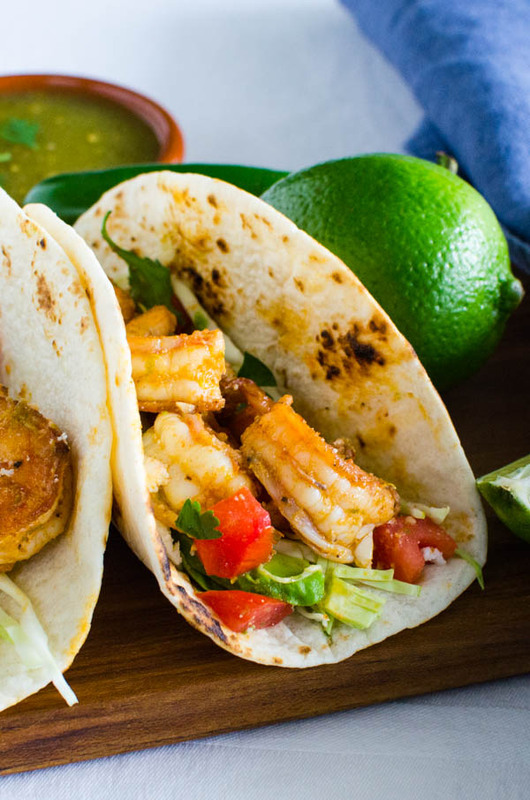 Seafood tacos are always a hit in our house and these garlicky lime shrimp are the perfect stuffing for flour tortillas! Place peeled and deveined shrimp in a bowl. Coat with 1 teaspoon oil. Sprinkle with salt, pepper, cumin, paprika and cayenne. Mix thoroughly and set aside. Place a pan over medium high heat. Add 1 tablespoon of oil and let it heat until it's slick, but not quite smoking. Add shrimp to the pan in a single layer and cook until just slightly turning pink, 1-2 minutes. Use a pair of tongs to flip them in the pan and continue cooking an additional minute. Add the garlic, lime zest and lime juice. Cook and stir for an additional minute. Remove from heat and stir in the cilantro. Serve with a side of yellow rice, or white rice and black beans. (I always top the beans with additional salsa). Pin “Tangy Shrimp Tacos” For Later! These tacos make me want to dive in! They also remind me of the summer that may never come. I can’t wait to give them a try. They’re just perfect for lent too! Yes, definitely a good meal for lent. 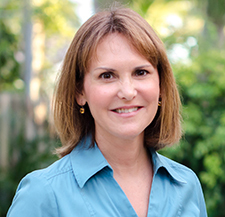 I hope Spring and summer get there quick for you, Julie! I love this recipe and the fact that you shared the nutritional information as well. Perfect! Oh boy! Shrimp rates at the top of the food chain, for me. Those spicy little buggers in a taco are going to happen here! Thanks. And who doesn’t love a taco, right? You got me at tangy. I’m making this tomorrow for sure.. took a day off tomorrow and I also have shrimp in the fridge, so yay! I love how you made these look and sound so delicious and easy! I may just have to opt for shrimp next time I’m hankering for some tacos. Love all the colors in your photos, too! 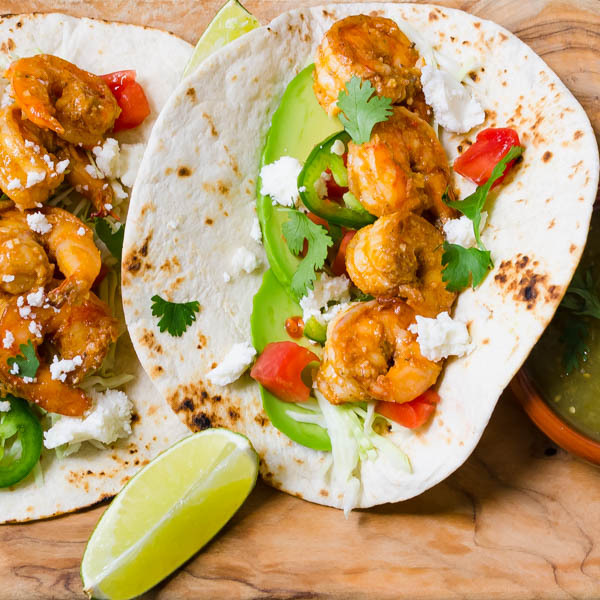 Shrimp is a great alternative for tacos — my daughter chowed through them and said I could make them any time! Well, who doesn’t like tacos, right?!! All the flavors of an awesome taco. My favorite are shrimp tacos and these are just spot on! I have been craving seafood for days on end so this is like torture right now! These tacos look AWESOME!!! OMG, what I’d do to be able to reach through the screen right now!! EEEK! Oh, you’re too funny! I wish you could reach through the screen too!